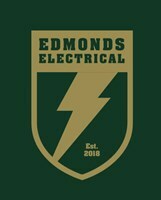 I am Gareth Edmonds and I operate as Edmonds Electrical. This is with a little help from the family. Edmonds Electrical is part P with the Niceic . I have 10 years experience in all types of electrical work. If you have any special requirements Please don’t hesitate to contact us we are all happy to help.